He only has seven different builds so far, but I see big things in the future for Marchides. This guy burst onto the scene back in May of this year with the E. Honda. Squat and beefy, it has an innovative use of cupboard doors as chest plates. He followed it up with the Comrade. It even has a breakdown picture. 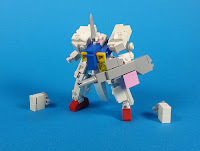 The arms are a little short, but that's the same for all of his builds. Then the Saturn Revival. 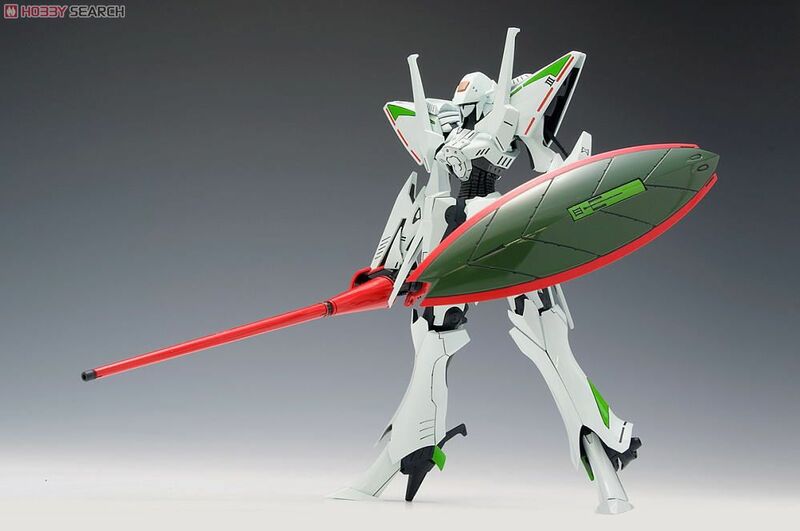 The Gundam influence is obvious. His next opus is the absolutely massive ODUS-4. He likes using one of my favorite pieces as weapon handles. He's got two more builds after this, but I think you get the point. I like to build microscale vehicles. 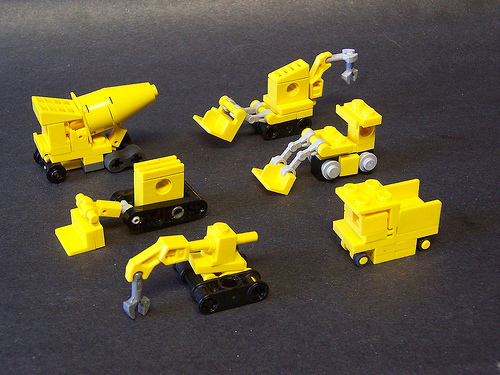 They look neat and can be a fun addition to your MFZ table as scenery or terrain. Unfortunately, most of the things I've built are not in the standard scale for MFZ. There are some other neat creations out there. This seems similar in scale to my 18 wheelers. There are some nice Minifig Statue scale vehicles in this picture. We even get some nice scenery. 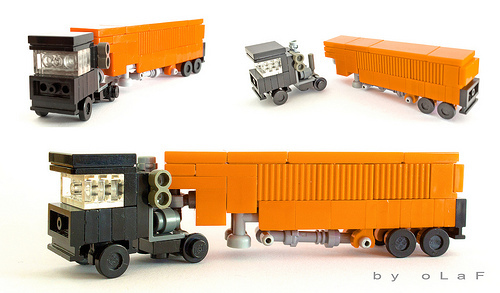 My latest microscale vehicle, on ipernity. 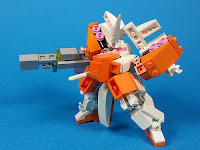 Artemiy Karpinsky -- AKA: The Mugbearer -- has a number of interesting builds that could be used for MFZ. The Core Instigator is what caught my eye recently. This one looks pretty neat too. Shame it doesn't have a name. MFZ 3 Bombard. This one was actually built for Mobile Frame Zero. Sentry Plus, this is one of a few re-sized Exoforce models. The pilot looks to be 8 plates tall. 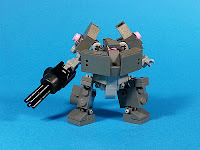 Mini Turbo Mech. 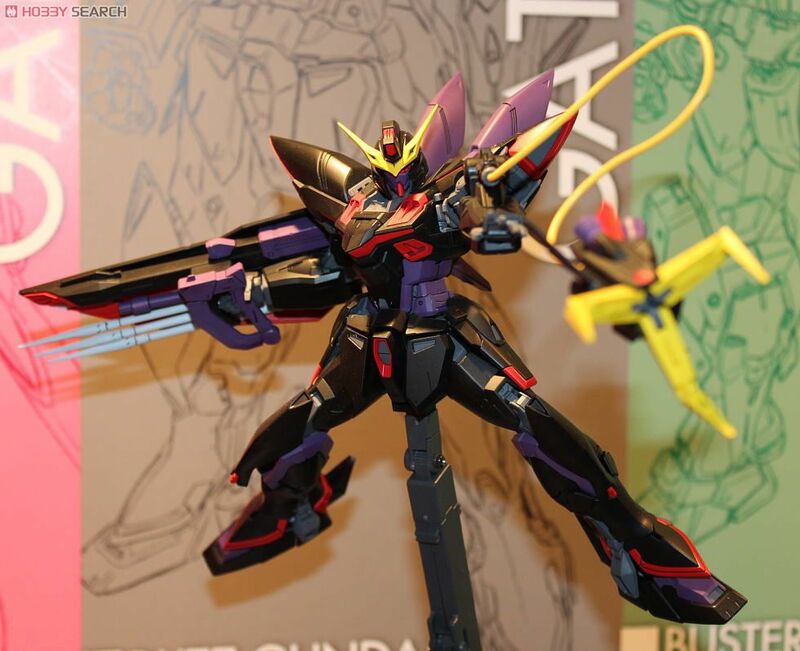 This is one of the best non-transforming bipedal flying designs I've seen in a while. 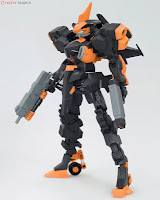 While all the designs I've chosen are made in LDD, he does have some others that are in the brick. Check out his Flickr stream. There is an alternative to Flickr. It's called ipernity. It has all the functionality of Flickr and it looks like Flickr used to, back before they started with that "justified" formatting. There are minor differences in the way ipernity does certain things, but it works okay. Right now I'm still navigating my way through and setting things up. The only problem I see at the moment is that there is a limited ability to share photos. I can understand Flickr's "share" ability being protected IP but people want post on more sites than FB, G+, and Twitter. Also, pictures seem to be saved as GIFs rather than JPEGs. Okay, after a couple of days of prodding, it looks like embedding and downloading capabilities are hidden behind a paywall. Here's my page. An ipernity exclusive photo! 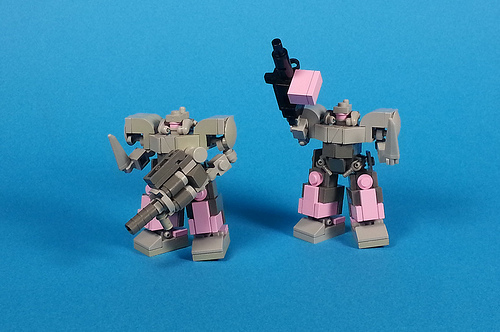 Here's the MFZ group I started. Right now it's invitation only. I'm sure that'll change in the future. Here's a general Lego group. This was going to be another random Flickr trawl post, right up until last night when I got home from class. that's when I discovered the new user "interface" on Flickr. I'll admit it, I'm a late adopter. I always have been. I started using Flickr after Yahoo bought them. I have no idea what the "good old days" were like. But I do know that once I figured out how to reverse the previous round of upgrades, I did. I like looking at thumbnails. It allows me to surf through images faster. I don't really need to see images that are all strung together. This current round of upgrades marginalizes everything I liked about Flickr. Besides, if you just bought Tumblr for $1.1 BILLION why do you need to make Flickr look just the same? And there seems no way to convert back. While the terabyte of free space is nice I just upgraded to a pro account recently. So that makes that $25 semi-wasted. The Lego community seems to feel the same. I guess only time will tell if things stay the same or we go back to the way things were before. Just in case, does anyone know of a hosting site that looks like Flickr used to? Here's a few articles for your reading enjoyment. Here's an article on how Yahoo screwed up Flickr. Here's an article on the upgrades to Flickr and the differences between them and the other main photo sites. Another article on the Flickr Pro accounts. Even The Brothers Brick don't know what to think. I picked up a few of the random packs of the Kre-O Micro-Transformers when the were on sale at Toys'R'Us. Here'a shot of the package they come in. Here's pictures of the contents of each package I bought. As you can see there are a few pieces that might be useful in each package. In the upper left hand one there's the 1x1 Round Brick that looks like a gun muzzle that everyone likes. There's a set of clip on treads that could be made into some sort of Chain-Axe. There's an almost Headlight brick. There's a piece that looks like the Minifig Telescope without the end stud. The shaped head piece might come in handy. (kinda reminds me of the face of the Dynamo Joe mecha.) There's the helmet, of course. (In fact I've used the helmet already.) The helmets from each package look neat and there are one or two other fun looking parts. 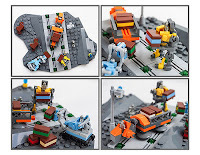 Of course the basic brick from each one can be used in scenery/terrain builds. But that's about it. 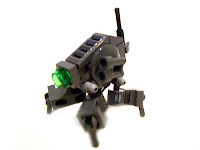 The Kreon -- that's what Hasbro calls their minifigs -- torso and legs might be able to be used. I'm not sure for what though. I'm not sure what to use the torso covering for either. Although you can pop the arms off and use them as giant fingers. They might even be better than regular Lego minifig arms as they have those square shoulders. All in all, these aren't really worth it. There are some fun pieces but, not in a quantity that could be really helpful. I give them a C-. 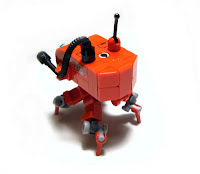 In other news, I also stumbled across a Mega-Bloks parts reference guide. 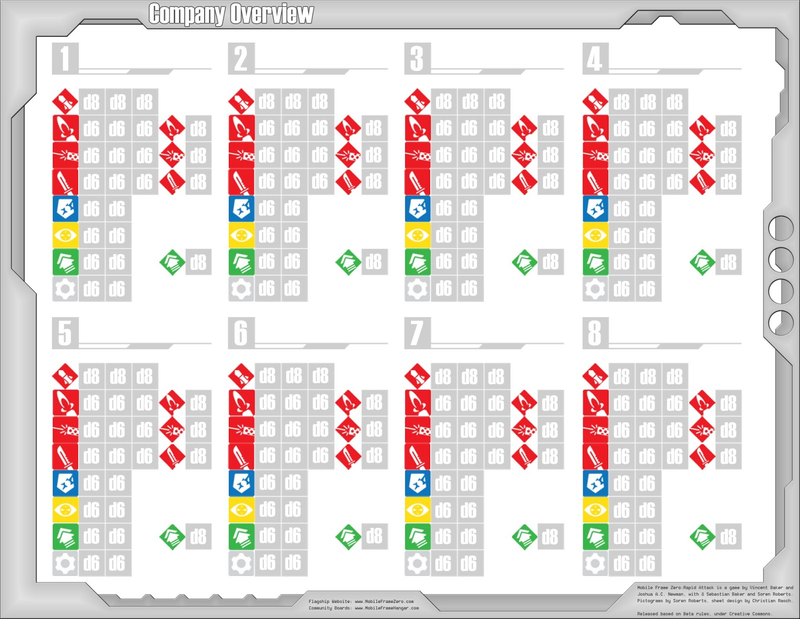 One of the things that gets used during a game, besides dice and Lego, is generally a method for keeping track of what systems each mech on your team possesses. There are three over at No BS, Just ABS. This is the one I've used for years. There have been some other ones made recently that are rules reminders but I think they're of limited use. Just keep a book around. Once you've played enough games the rules will get internalized. I still have to figure out which one I'll use in the future. I built this recently as an entry for Frame Chef May 2013. As you can see, it features a lot of the "secret ingredient" but, it's ugly as hell. The twin, curving rows of spikes up the back was the initial design choice and the driving one behind the build. This was my first mistake. I fought to get everything else to fit around this section of parts. I wanted something spiky, to make it look like some sort of mechanical hedgehog. This just goes to show that just because you want to have a certain part or parts in a frame design, doesn't mean you should. The legs were mostly an afterthought. Except for the feet which were chosen to make sure the frame didn't tip over. Although I may use this design along with the hip connection again. So, think of this as an example of "how not to". If you want to check out more angles, here's the Brickshelf gallery. I hadn't planned on building another mech using the Character Builder Dalek Minifig. I had an interesting idea though, so I went ahead and threw together most of the remaining parts. I think it turned out pretty well. The gear piece on the right arm has already been swapped out for a dark bley version. The helmet is from a Kre-O micro-Transformer package. And I think it really gives it a good look. If you look in the Brickshelf gallery, you can see pictures of it without the helmet and you can see what I mean. Here's a picture of the two designs together. This one's more an exercise in building than an attempt to make something viable. I used the giant bionicle sword as the main body, to see if it could be done. 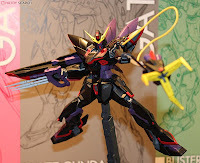 I still want to add some sort of wings to the "T" pieces that comprise the shoulder area.. The "hands" also need work. While the translucent pieces would make nice gun blasts, they don't work for this design. Alex E.2 has a few nice pieces that could be used for MFZ. Let's take a look. 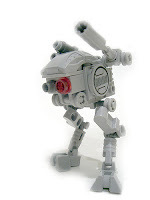 M-32 Scout Droid. I've made a copy of this. U-39a Probe Droid. Made from parts from just two sets. It has a missile launcher variant. CT-14 Fire Fighting Droid. This has a real nice use of color to set a mood and some nice sticker use too. There are a few other pieces that look neat but look like they're too fiddly and fragile to be used as game pieces. He also has a habit of using minifig hands and legs that I personally find kind of annoying. Here's the second half of the list. I keep all my pictures. I keep a lot of stuff really. I'll admit it, I'm a packrat. This does allow me to look back at the things I've built and track their progress over time though. I've been doing a lot of building and picture taking lately. Some new, some old. Quite a few of the pictures I took recently were of my Hecaton frames. This led to me modifying one of them and stumbling into a design secret I wasn't aware of. Let's go back to the beginning and see how it all evolved, shall we? 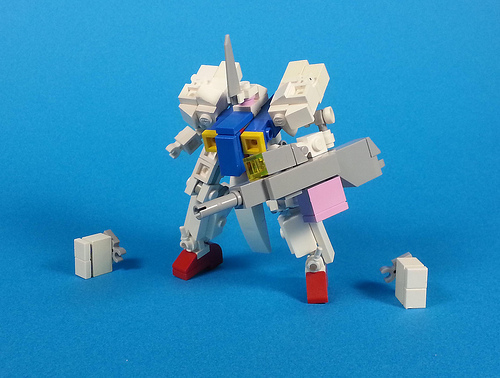 This is the part that inspired the initial builds. From left to right we have Melee, Artillery, and Direct Fire models. 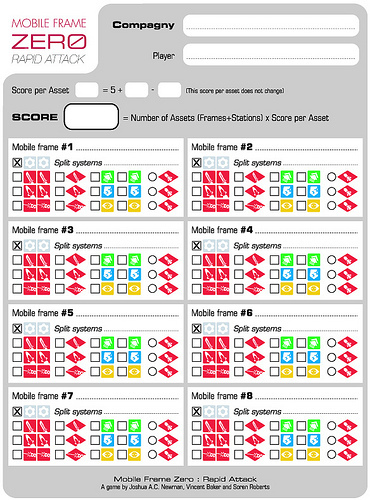 The frame evolved pretty quickly and the three versions you see above are basically how it changed over time. 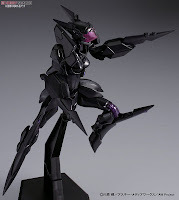 Although the black version initially had the legs attached underneath like the white version. The leg joint on the white and red mechs is taken from here and really helps with poseability. The original, on the black, had limited flexibility. Here's links to a few shots of the frames posing; White kneeling, Black walking, Red in Leaning Stance. After that a fourth design came along. Taking new pictures of all four frames last weekend led to a discovery. You can remove the arm sets and swap them between frames. When I initially built this design this never really occurred to me. I just built them specifically for each mech. Swapping arms gives us this fun design. It also allows us to this. I'm not too happy with that picture, so expect a new version sometime in the future. Along with Spotting and Movement options for arm plug-ins. As I'm just beginning to discover, the Hecaton is a modular, multi-purpose frame that lends itself to multiple loadouts. It's also roughly the same size as the ubiquitous Chub. So look through the following pictures galleries and see if the Hecaton inspires you. 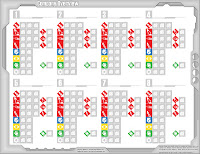 Hecaton Frame set on Flickr. Brickshelf gallery. We'll be opening registration again on Saturday, May 4th (5-4-13) at Noon with a window of several hours. Please remember to contact me here, the G+ page, the FB group, etc. so I can activate your account. We've also started the Frame Chef "competition" for May. Join in.